We are very pleased to be able to announce funding possibilities relevant to the MA in Critical Theory and Cultural Studies. This dynamic and interdisciplinary programme will give you a comprehensive introduction to the critical tradition that shapes today’s human and social sciences, as well as the opportunity to apply theories to contemporary cultural, social and political phenomena. You will benefit from teaching by staff with recognised expertise in areas such as cultural studies, media studies, continental philosophy, political theory and political communications, postcolonialism, gender studies, psychoanalysis, and literary theory. 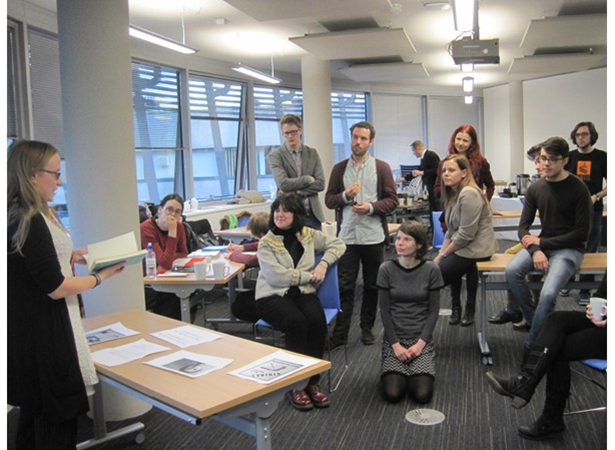 The MA has an excellent track record of leading students both onto PhD’s and academic careers, and onto success in a variety of professional contexts, such as galleries, museums, journalism, publishing, and teaching. It is administered by the Department of Culture, Film & Media, which was ranked 5th among all Russell Group universities in the most recent Research Excellence Framework (REF 2014), with 83% of its staff’s research rated either ‘world-leading’ or ‘internationally recognised’. There are two main sources for funding. Firstly, up to 15 studentships for outstanding UK/EU applicants who will be starting in September 2016 are available from the Midlands3Cities partnership. The deadline for this is noon on April the 26th, 2016. Secondly, the School of Cultures, Languages and Area Studies (in which the Department of Culture, Film & Media sits) will be offering several studentships open to any strong applicants, with the later deadline of May 11th, 2016. Other funding possibilities, including for international students, can be explored via the School’s postgraduate funding page. For more information, please contact the MA Course Convenor at Colin.Wright@nottingham.ac.uk. The first step should be applying for a place on the programme (follow the link at the top of this page to find the application form), and then Dr Wright will be happy to support your pursuit of funding. We look forward to hearing from you!